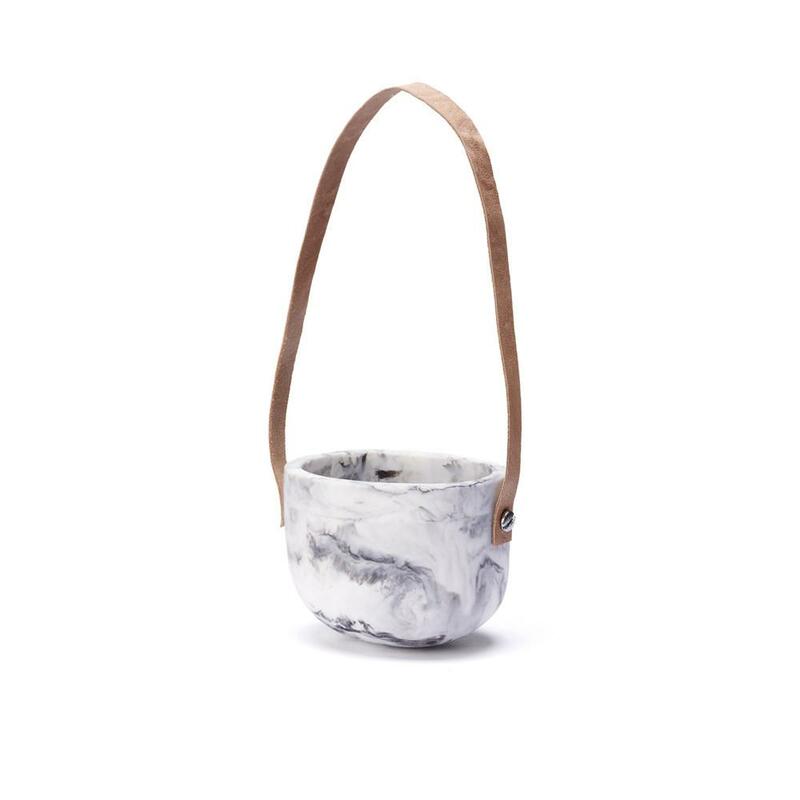 This planter is handmade from beautiful matte resin with a goat skin handle. It is a feature piece for any space and is ideally hung in a set. Making: It is moulded from resin, then sanded and polished to a soft matte finish. The base is engraved with the 'Mooku' logo. NOTE: Do not put near flame or in direct sun. Colours may vary due to the handmade nature of this product. If dropped this item will break.